AP Adarana status check 2019: Adarana 2 application forms are currently available. Interested people from the Backward Class (BCs) communities of Andhra Pradesh state can apply before the last date @ adarana.ap.gov.in. Those who have already can check their Adarana 2 application status online. They just have to enter their application number on the online portal to check the status. 4 How to check Adarana application status 2019? 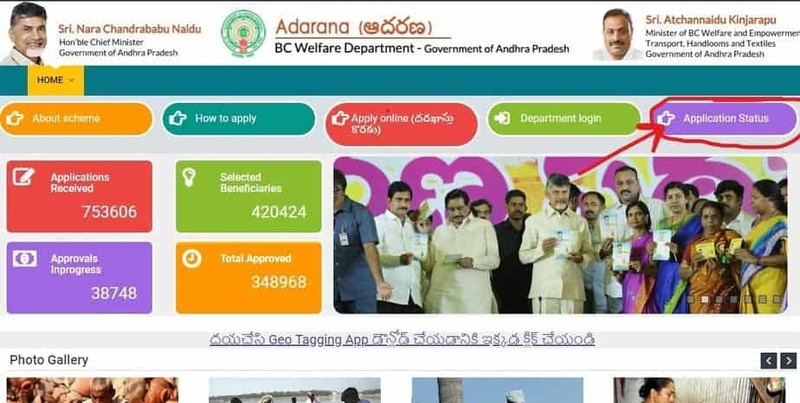 5 How to apply for AP Adarana 2 scheme 2019 online? Adarana is a scheme of Andhra Pradesh government to improve the productivity of the Backward class workers, artisans etc. by providing financial assistance to them. To know more about the Adarana 2 application status, application form and other related details readers can scroll down. Check Adarana 2 application status 2019 here. Click here to apply for AP Adarana II Scheme online. Adarana is a flagship scheme of Andhra Pradesh government for Backward Class (BC) community that aims to minimize drudgery and improve service quality by modernizing and developing tools and techniques of the artisans. 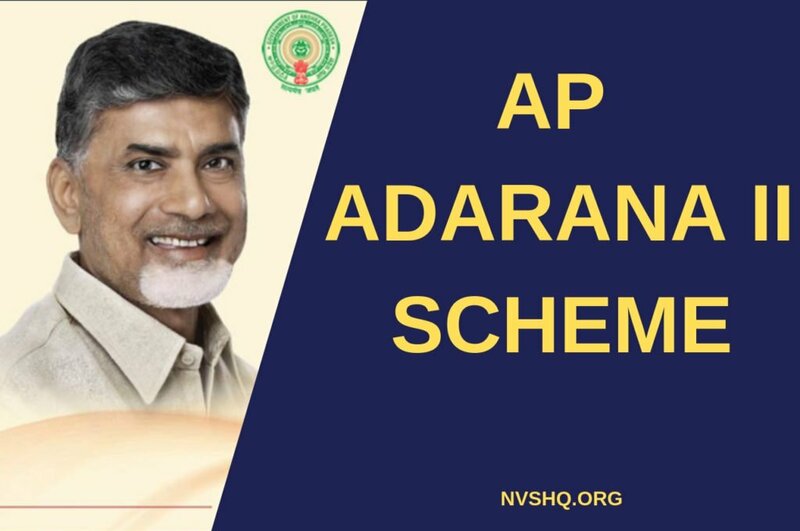 Adarana scheme was launched in the year 2018 by the Chief Minister N Chandrababu Naidu. The scheme is relaunched in 2019 as Adarana 2 and online application is currently available. Each day thousands of applications are registered by the eligible candidates and getting benefitted with the scheme. The main objective of Adarana scheme is to provide financial assistance to the artisans belonging to the Backward Classes so that they can acquire modern tools. Empowering Backward classes by imparting training to them for the improvement of productivity and development. The assistance is provided basically in three slabs viz. Rs.30000/-, Rs.20000/- and Rs.10000/- as unit with 70% component of subsidy, 20% NBCFDC loan and 10% beneficiary contribution for procurement of gadgets and modern tools. All the candidates who are willing to apply for the scheme must go through the eligibility requirements first. The beneficiary must a native of Andhra Pradesh. The beneficiary must be of age between 18 years to 50 years. How to check Adarana application status 2019? Applicants have to access the official Adarana portal i.e. www.adarana.ap.gov.in. Now, applicants have to open the “Application Status” tab provided on the homepage of the portal as shown in the given picture. Applicants have to enter the application no. in space provided. On clicking “Get Application details” option all the details along with current application status will appear on the screen. How to apply for AP Adarana 2 scheme 2019 online? Applicants firstly have to visit the official website of Adarana i.e. www.adarana.ap.gov.in. They can also click on the direct link shared in this page below. On the homepage of the portal, they have to click on “Apply Online” tab. An online application dialog box will open. Applicants have to enter their mobile no. in provided space and they will receive an OTP (One Time Password) on their mobile number. Now they have to enter the OTP in the field provided and have to click on “VALIDATE OTP AND PROCEED”. After validation of OTP, the system will open the application form. Applicants have to enter the Ration Card No. Names of the family members will appear and applicants have to select their name. The selected name will be taken as the “Applicant name”. Other information such as Father/Husband Name, Age, Date of Birth, and Address will be updated automatically from the database of ration card and supply department. Applicants have to fill caste/ category and educational qualification details and trade. After filling all the details, applicants have to upload the scanned copy of aadhaar card in the prescribed format. After uploading they have to tick the checkbox and have to submit the application. After the submission of application form, applicants will receive an application number. Applicants are advised to keep this no. safe as it is used to check the application status. The last step in the application procedure is the selection interview. Applicants have to appear in person in the selection interview that will be conducted at the MPDO office on the specified dates. The interview dates will be intimated to the applicants through SMS on their registered mobile numbers. Application for Adarana is completely free of cost. No registration fee is charged from the applicants. Mobile – Applicants must have a valid working mobile no. Applicants must make sure that the number provided by them is their personal number. It is because all the notification, intimation and updates regarding the application are sent directly to the registered mobile no. of the candidates. Aadhaar Card – Aadhaar is also mandatory for Adarana application. Applicants have to upload a scanned copy of their Aadhaar card in application form. Aadhar card should be uploaded in JPEG/JPG/PNG format in size less than 1 MB. Ration card – The third important document is applicant’s ration card. It is proof of income and category of the applicant. Application status can be checked online. Those who have not applied yet can apply online before the due date. Applicants must read all the instructions carefully before filling the application form. Only eligible candidates must fill the application. In case of any discrepancy in the provided information, the application form will be rejected at the same moment. Application no. generated after the successful submission of application form must be kept safe, as it is required to check the application status. Hope you have understood the concept and benefit behind the re-launch of AP Adarana II scheme 2019. However, if you face any problem in finding your application status or in applying for this scheme online, you can contact us through the discussion/comment form below and we will get back to your query ASAP. I don’t know this scheme.but ippudu date ayyipoyindi . ippudu ela ?